This event was organized under the gracious support provided by the Krupanidhi college of Pharmacy staff members to the NIMHANS center for wellbeing – Positive Psychology Trained Youth Pro – Resource members Ms. Riju Pathak and Mr. Trushit Patel along with Ms. Nancy Ashok (student intern) and Youth pro workshop facilitators Ms. Rajeswari & Ms. Teena Nazeem of Krupanidhi College of Pharmacy. 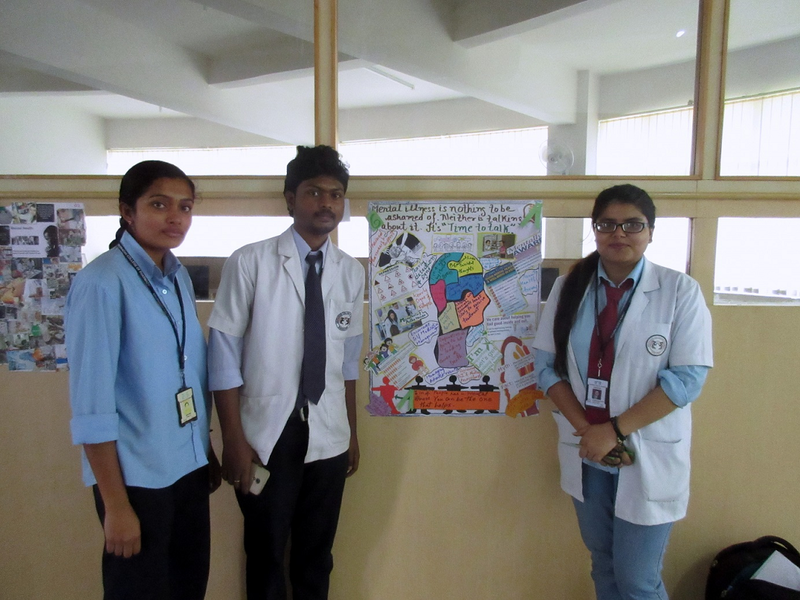 The objective of the event was to enable young students of pharmacy to understand their role in solving issues related to mental health from their professional point of view .The competition was, hence, open to all the students from any department (D.pharm, B. Pharm, M. Pharm and Pharm D.) under Krupanidhi College of Pharmacy. 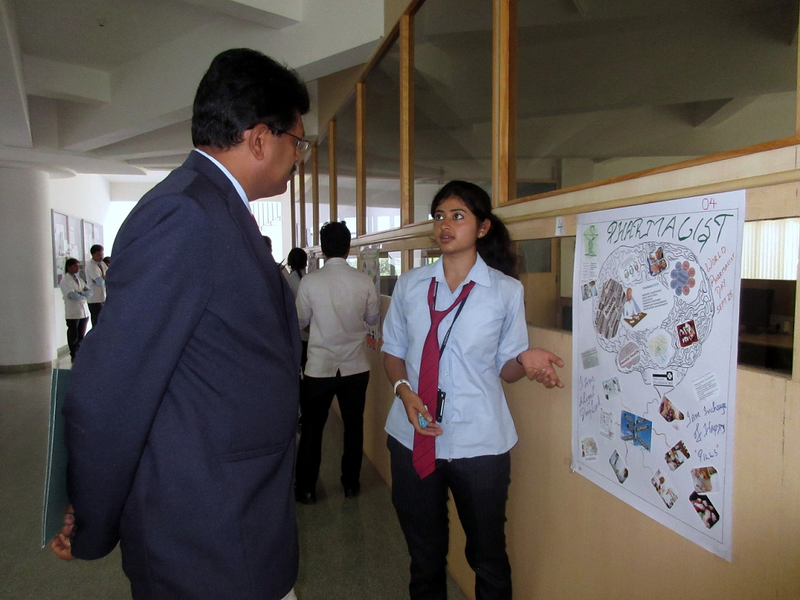 The first event was the Collage Competition which was held between 12 noon to 1 p.m. 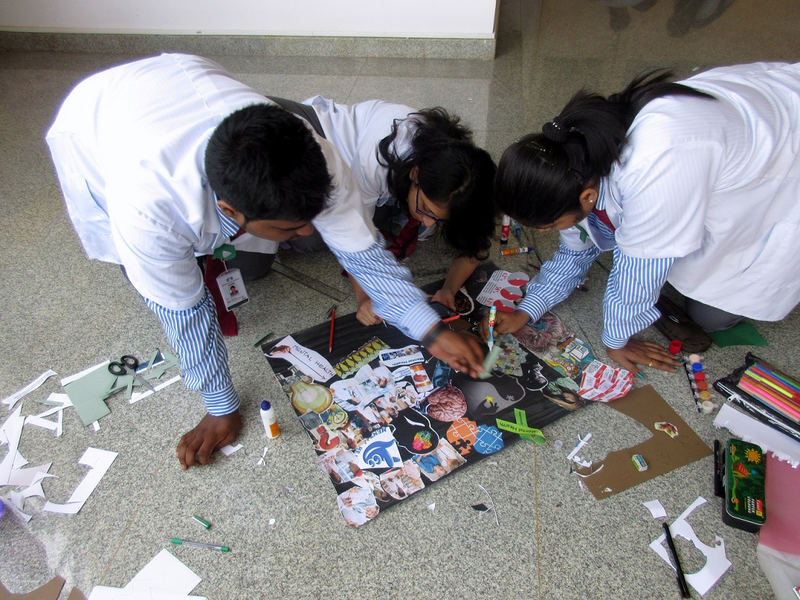 It was overwhelming to witness all the effort put up by the participating students (who worked in groups of three and were from different branches and in different years of their pharmacy education).The Collages were judged by Dr. Raman Dang, Principal of Krupanidhi College of Pharmacy. 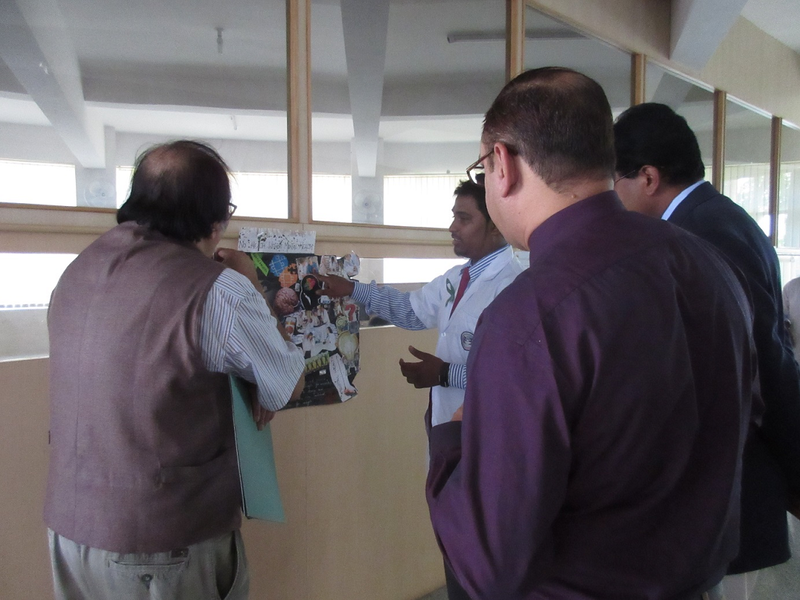 Professor Prakash V Mallya, Director- CPPA, of Krupanidhi College of Pharmacy and Dr. Narendra, Campus Registrar. 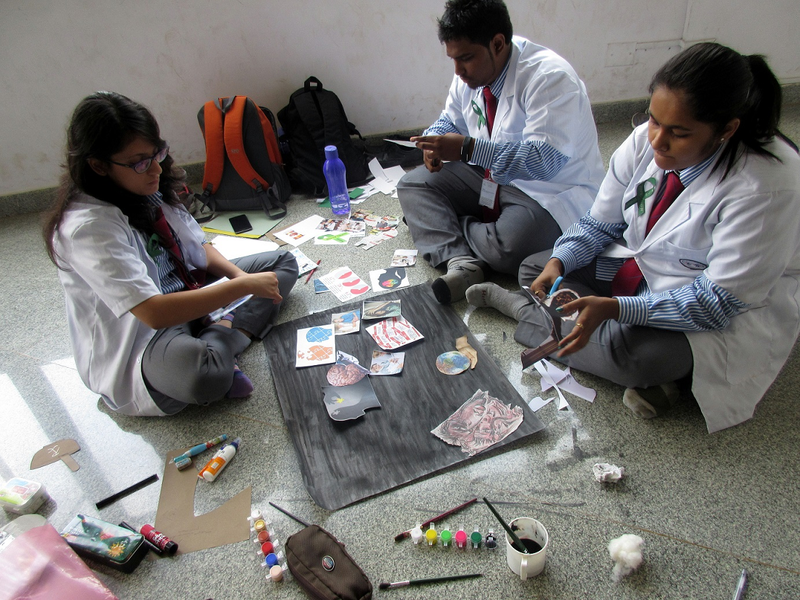 The flow of creativity was colossal and evaluation was a difficult task for the judges who tried to test the students as a representative from each group explained their collage and finely tackled each question that came their way. The second competition, which was Essay writing, was held between 3p.m.-4p.m. in Krupanidhi College of Pharmacy Seminar hall. The enthusiastic participants put down their thoughts in the form of an essay, within 500-1000 words, pertaining to the theme of the event. With the end of the second event, we marked the end of the day for us. The winners for both the events are scheduled to be announced and their work displayed on the Students’ Bulletin board of our college next week.